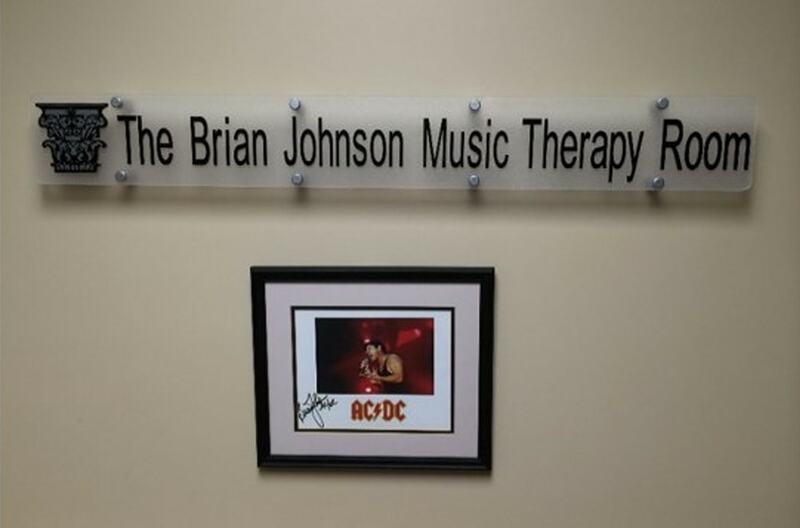 Brian Johnson, lead singer of AC/DC, graciously donated funds to create a Music Therapy room for the new pediatric unit. This was a project within a project due to Mr. Johnson’s tour schedule. 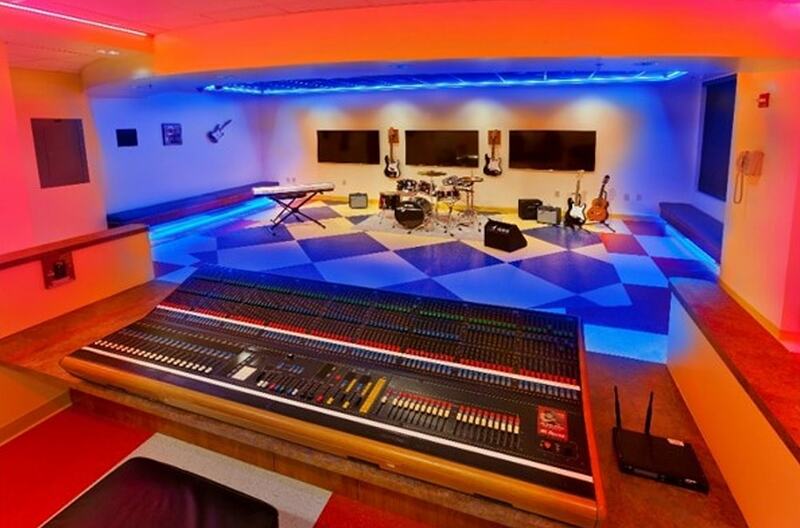 Working with Mrs. Johnson and their music/lighting rigger, the room was designed expeditiously with many changes to accommodate the donor’s ever changing requests. 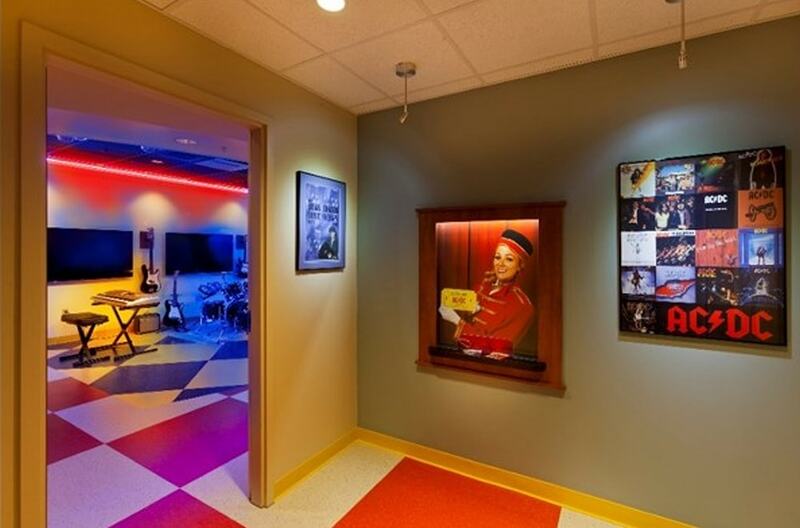 Again, the Design Team and General Contractor had to be “joined at the hip” to pull this off. The room located in the rear of the pediatrics unit, needed to be complete halfway through construction of the floor. Schedules were accelerated and provisions were made to allow a ribbon cutting to take place prior to the completion of the Pediatric Unit project.